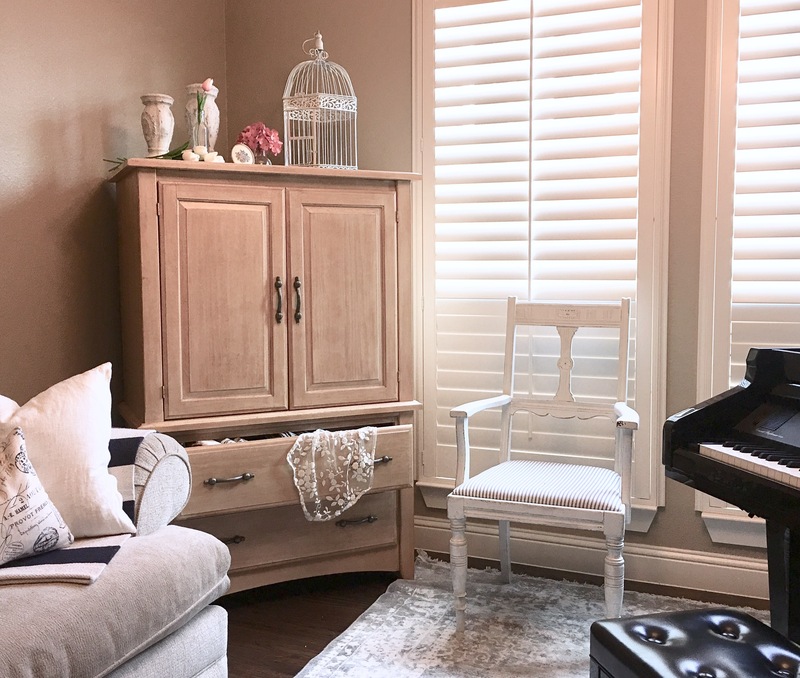 Every piece of furniture is different so this isn’t a fail-safe formula, but it’s great for most low traffic items like end tables, armoires, beds, accent chairs, sofa tables etc. Sanding the pieces even a little helps the paint stick, but isn’t necessary for low traffic items. Again, every piece is different so use your own judgement about whether to sand or it. High traffic item like kitchen tables turn out better with more prep work and more durable paint. 1. Clean the piece with water or mineral spirits and let it dry. 2. Paint Zinnser Shellac base primer with a disposable brush. It’s super runny so make sure you have a heavy drop cloth or plastic on the floor. 3. 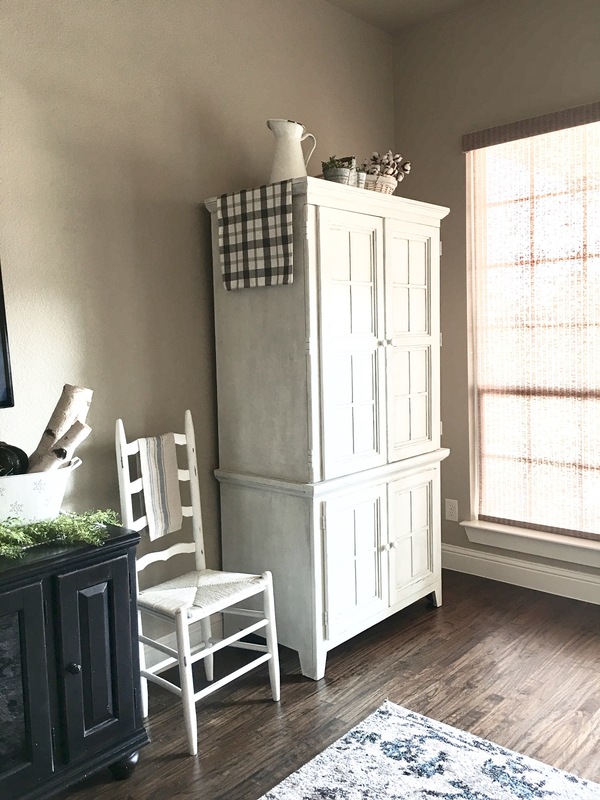 Paint with a flat or Satin sheen paint. I love sample sizes of paint from Sherwin Williams because they are cheap and come in a pint size. 5. Paint one or two coats for desired coverage. 7. Glaze and or distress as desired. 10. I recommend letting the piece “cure” for about a week before you set items on it. One of my favorite designer friends asked me to recover 7 chairs for her dentist office makeover! You might think that office furniture couldn’t tell a story, but hidden under one of these chairs was a sneaky little stowaway that gave me a good laugh. When I removed the seat on this particular chair I couldn’t stop giggling! Can you see that sneaky little piece of green gum? I can just imagine the patient who left it there while he was prepping for his dentist appointment. Maybe he was late, and he didn’t have time to brush his teeth before his visit. Maybe he didn’t want to be the patient with the horrible breath… so in his mind, gum seemed like a perfectly reasonable choice! Heck, he thinks, I’ll rid myself of this afternoon’s salad particles and my onion breath in one shot! He checks in for the appointment, fills out the paperwork, and settles in for the inevitable waiting room game, when suddenly he remembers his gum. He looks around for the trash can, but can’t see one anywhere! What kind-of waiting room doesn’t have a trash can? In agony he wonders how to rid himself of the gum! Any second now, the attractive hygienist will call his name, and his every oral action will be scrutinized mercilessly! Even worse, he could face an awkward moment of spitting out the soggy mass in front of the bicuspid beauty! He makes a quick decision and places the gum underneath the chair. After all, no one will ever know, right? So, I just have to say thanks to the soul who gave me that giggle… but in all seriousness… please don’t put gum underneath chairs! Tip: Coconut oil will safely remove gum from chairs, clothing and even hair!! What funny places have you found gum lurking and hiding? 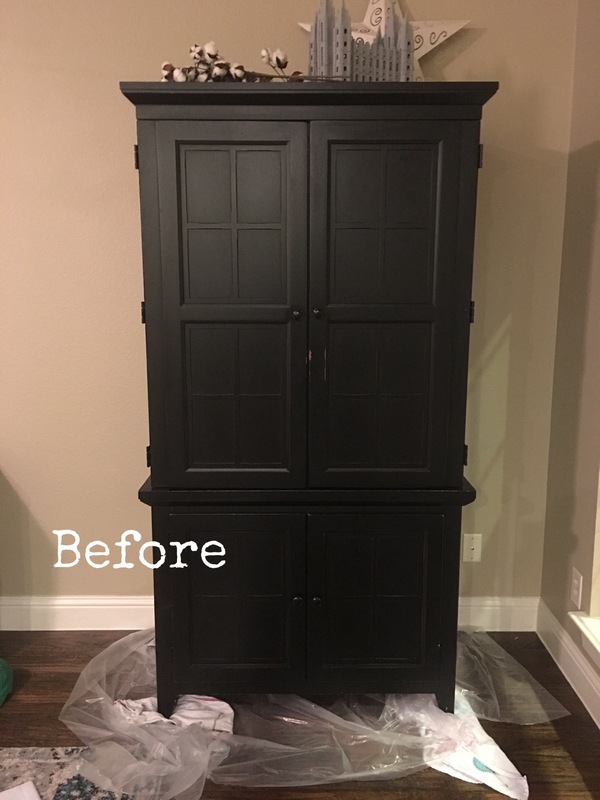 While we were in Utah for Thanksgiving my mom and I refinished her hutch. She liked the green, but felt like it was too much color for her room. 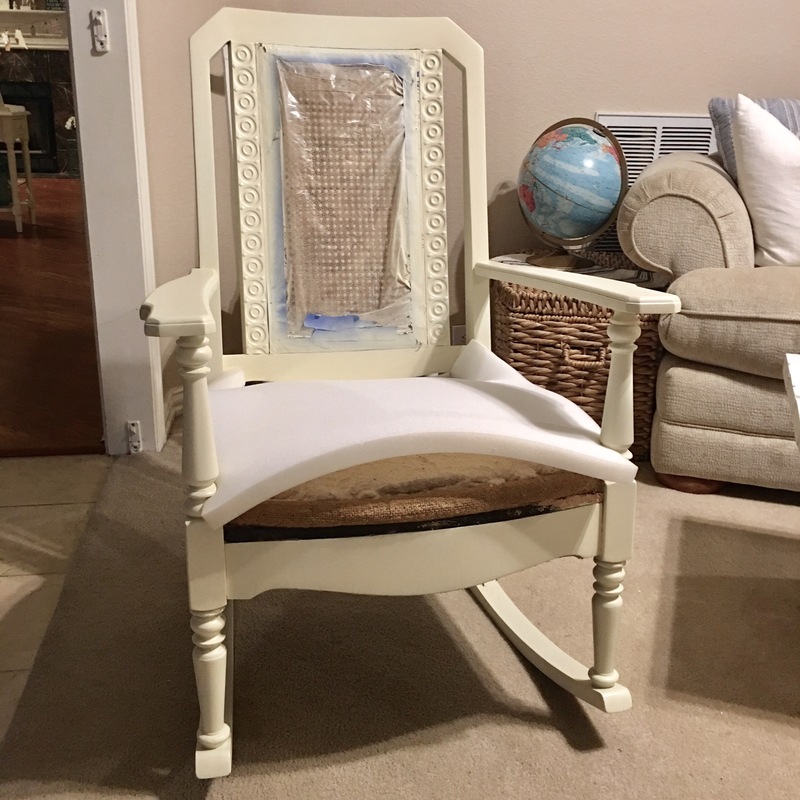 We mixed Annie Sloan’s Old Ochre with Sherwin William’s Pure White to create a custom white color. We weren’t concerned about the consistency of flat paint and chalk paint, and we didn’t prime this time. The paint went on smoothly and covered very well. We finished it with General Finishes topcoat in satin. It was my first time to try it and I really liked how smooth it went on. 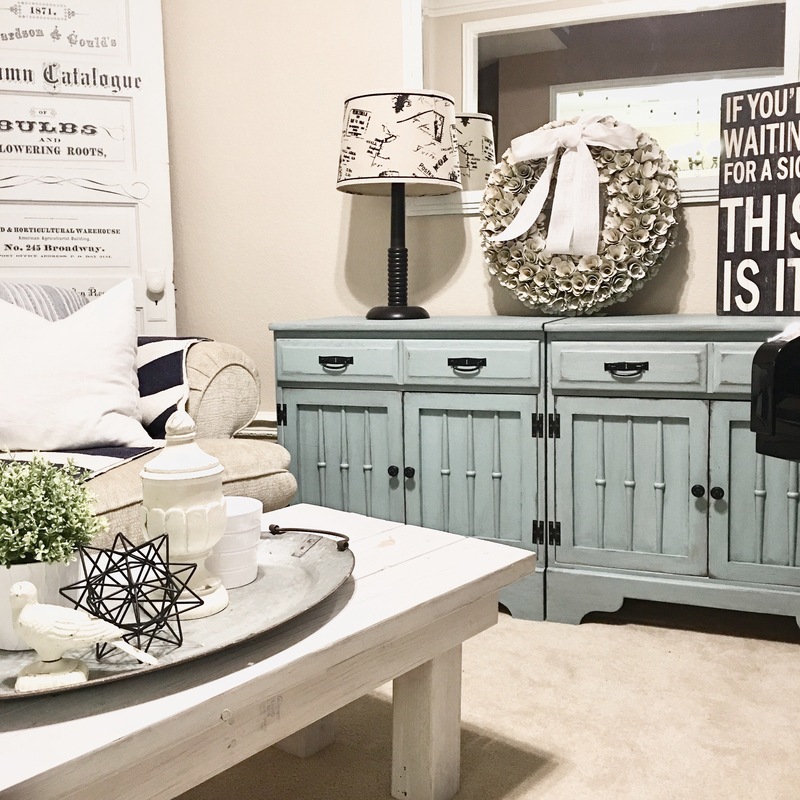 The white is now a fresh happy updated piece that matches the rest of her neutral simple decor! It was a fun little project to do while we celebrated time with family! 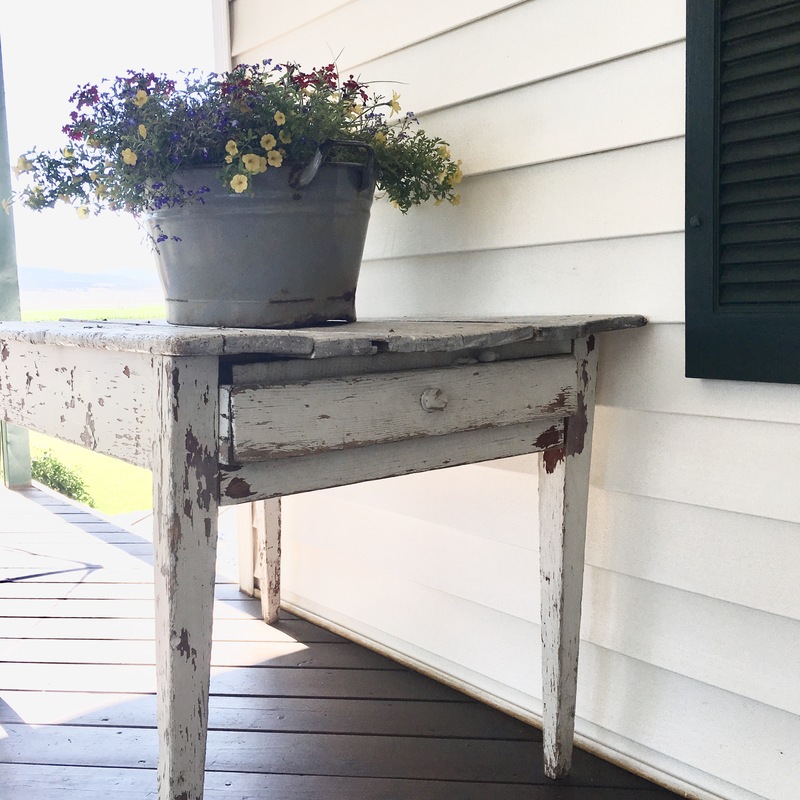 This little Pottery Barn console was a great FB Marketplace find. It was in pristine condition and the owner had taken perfect care of it! I was going to use it in my hubby’s office with lots of dark woods, but then we chose some different furniture, and I had this extra piece. I decided to paint it white and place it behind my sofa. But when I began sanding it, and realized it was 100% mahogany, I suddenly heard it scream at me. Most pieces are happy to get new life, but not this one. I stopped my sanding for a minute. Was I ruining this piece? 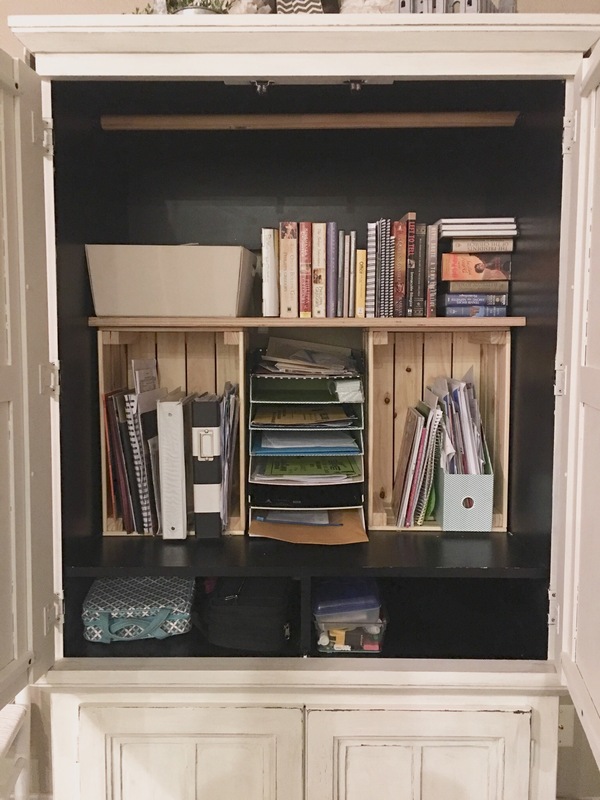 Most furniture these days have some MDF or cardboard hiding in the back or underneath. And if not, they’ll have a gorgeous hardwood top, with cheap poplar undersides. But not this piece. It was mahogany everywhere. 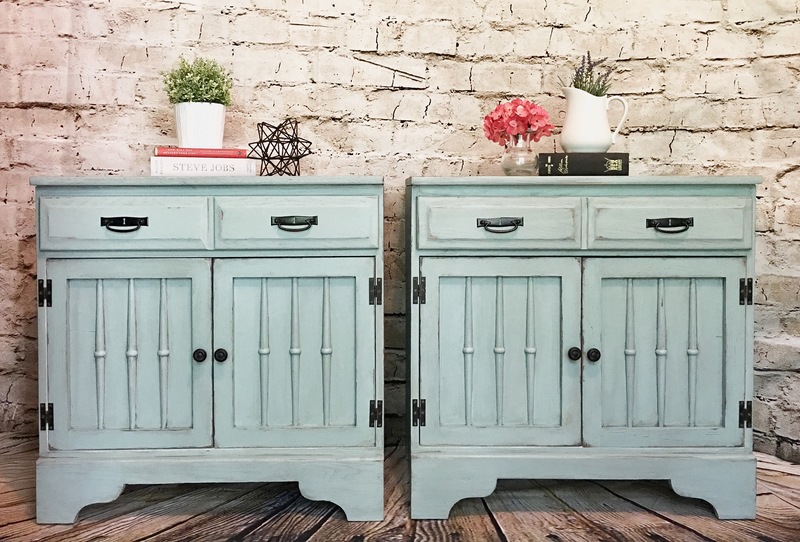 Whether or not painted wood is better than stained wood is a matter of opinion. And yes, this piece was just fine the way it was… but if it wanted a place in my house, it needed to go through the change. 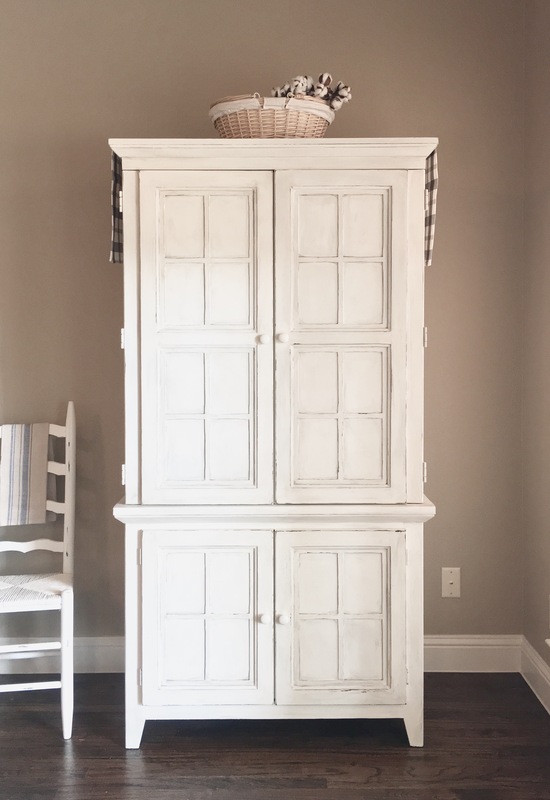 I began painting it white, but didn’t love it as much as I thought I would. So I started painting it blue. The drawers were fun to figure out. I sanded off the original stain, painted a layer of white, then sanded off the white after it was dry. 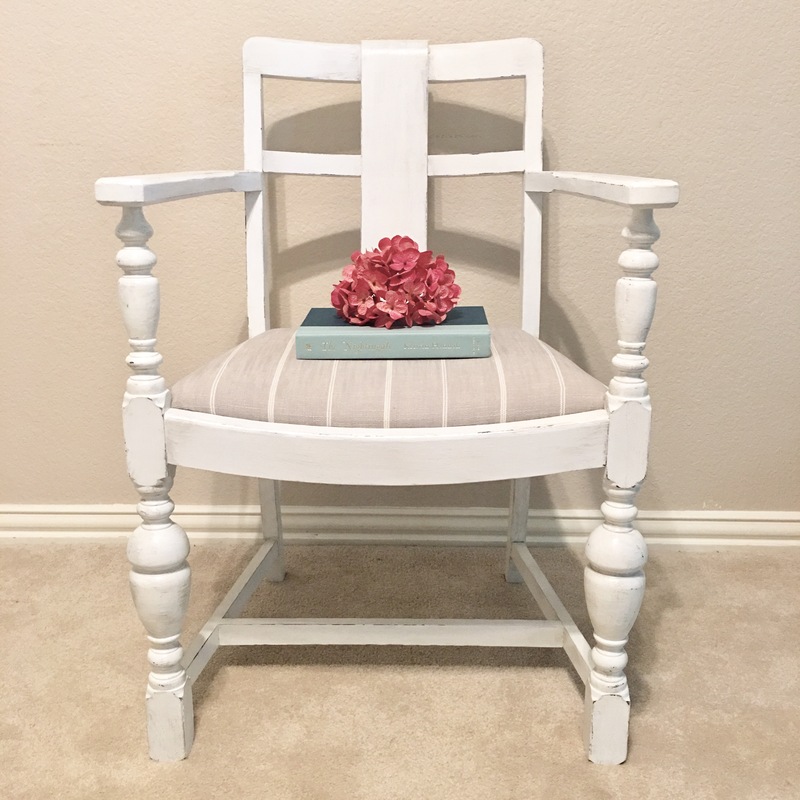 I left just enough paint on, then stained it with a weathered gray stain, and got this fun distressed look. I absolutely love how it looks now! I’m so often just like this reluctant console. I go along in life, thinking things are just fine. I’m happy! I can handle my own craziness. But then life happens and I get hit with a curve ball. I’m suddenly forced to change, to deal with something new and unexpected and I don’t like it. I’m a good person! I try to do everything right, I try to help others, and take care of my kids… I don’t intentionally try to hurt anyone, and I’m happy just the way I am! Why do I need this trial? Why do I need to change anything?! When things are going well, why do we so often get hit with trials? It’s easy to ask an old broken piece of furniture to change. It needs to be fixed anyway. But it is hard to change a piece that is in excellent condition the way it is. In fact, many of you may be thinking that I ruined the piece, and that it was fine the way it was! And I would agree with you! But this piece didn’t fit with my décor unless it went through the change. I think God’s plan for us is like that too. Yes, we are fine the way we are. But maybe He knows we could be better. Maybe He needs to refine us because we can’t see the other side of the trial and the joy we could be feeling. When I look back on my trials, I realize I wouldn’t know the joy I feel now, had I not experienced those challenges. And to be honest, who knows where I’d be had I not submitted to change. Change does make us better. Trials do help refine us. The console would never have known the beauty it is now, had it not undergone the sanding and distressing. But if we can have just a little faith that there is a plan for us, and can endure some painful sanding and distressing, we too can come out more beautiful than before. I love that my friends keep watch for furniture for me! It makes me feel so loved! 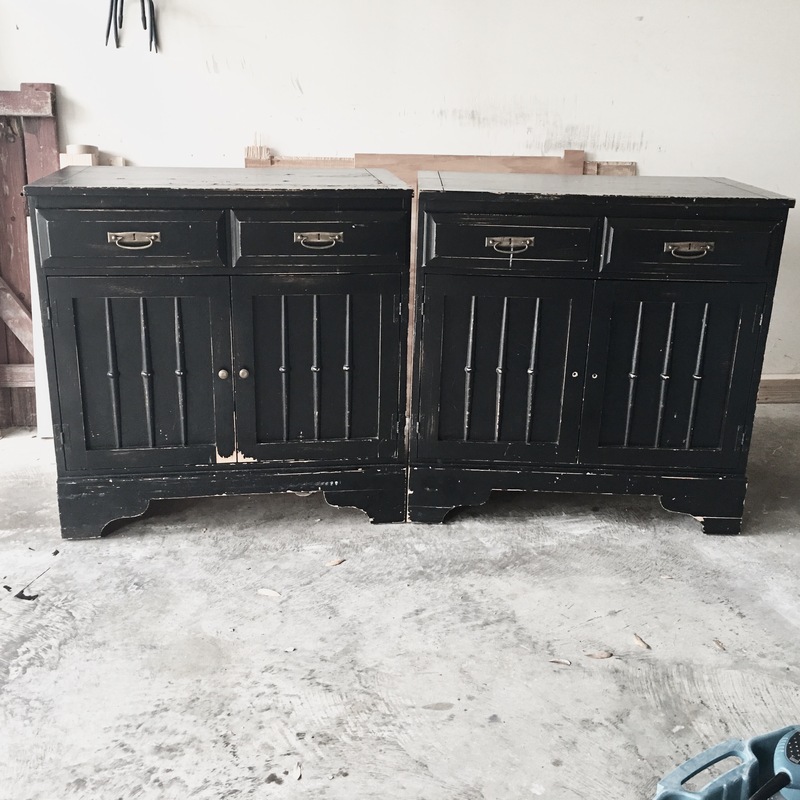 A few months ago, my friend and her hubby were out on a run and came across this pair of nightstands that someone left on the curb for the trash! My friends were the cutest thing ever to stop their run and carry these back to their home to ask if I wanted them! And boy did I ever want them!! The paint was flaking off really bad, so I chose to sand it completely down. This revealed that the nightstands were solid oak, which was exciting but it also revealed a few problems. One nightstand must have been dropped at some point because it had a crack running down the sides and middle. The feet were also cracked. I was really worried that I wouldn’t be able to salvage them. I let fear set in a little as I realized I didn’t know how fix the problems, and I even considered putting it back on the curb. I love this because it says that I don’t have to know everything. It says I don’t have to have anxiety about not having all the answers, and I don’t have to pretend that I have it all figured out! And then I started thinking about that scripture in relation to the nightstands, and I realized that “all” is a really encompassing word! And if He knows all things, then He would know the story behind these nightstands. And He would know how I could fix them! Now some might think that praying over a nightstand is pretty ridiculous; but if you believe that God is a loving father who cares about “all” aspects of our lives, then surely he would be interested in “all” that we’re doing, right? Furthermore, if I believe that this loving Father has “all” wisdom (both in heaven and earth), then who better to ask? So I asked. And I researched, and I listened for promptings. And I got answers! Since it was solid wood, and the breaks were clean, I felt prompted to remove the broken pieces, glue them, clamp them and reattach the parts! You can still see where the crack was on the top, but the piece is rock solid. It’s not going anywhere! And the distressed look adds to the character and story of the piece. These are quickly becoming my most favorite pieces! And I love that when they are pushed together they look like a buffet! I’m constantly amazed and inspired at how incredible women are these days. We raise children, hold jobs, run businesses, give service, volunteer, exercise and everything else in between, all while the main bulk of running a household, raising and growing children is still a vital part of our role. No, her roles were vital. Skipping a chore could lead to serious consequences, even death! For example, failing to dust or wash my windows simply means things are just a little dustier that day… or month! I get my milk from the store, and clean my toilets once a week! And procrastination at those things doesn’t affect anyone too badly. But if the frontier’s woman didn’t pick the veggies before the storm she risked starvation for her family! If she didn’t milk the cow, it would stop giving milk… And not collecting water from the well just wasn’t an option. Do you ever wonder what their lives really were like? Maybe that’s why I love old things. Furniture and items that survived that time period connect us to the people that worked hard for their families. For their children, and their children’s children. And I like to think that they watch over us. That they are our silent cheerleaders carrying us through the tough days, thrilling over the triumphs and hoping for our future! I kind of love the idea of being a part of something greater than myself! So I’m going to keep on hunting for old things! Because the antiques and treasures help me feel just a little closer to the amazing people that came before me. What old things make you feel connected to your ancestors? Finally, can you believe the amazing chippy goodness on this old table? I spotted it during a reunion at my aunt’s farm and begged to take a pic! It’s over 100 years old and has handmade nails! It belonged to my Uncle’s Grandmother! A truly strong, single mother who raised 4 amazing children on her own! Just Amazing! When a piece of furniture finds it’s way to me, I often don’t know much about it other than someone didn’t want it anymore. As I delve into the restoration I’m always trying to learn it’s history. 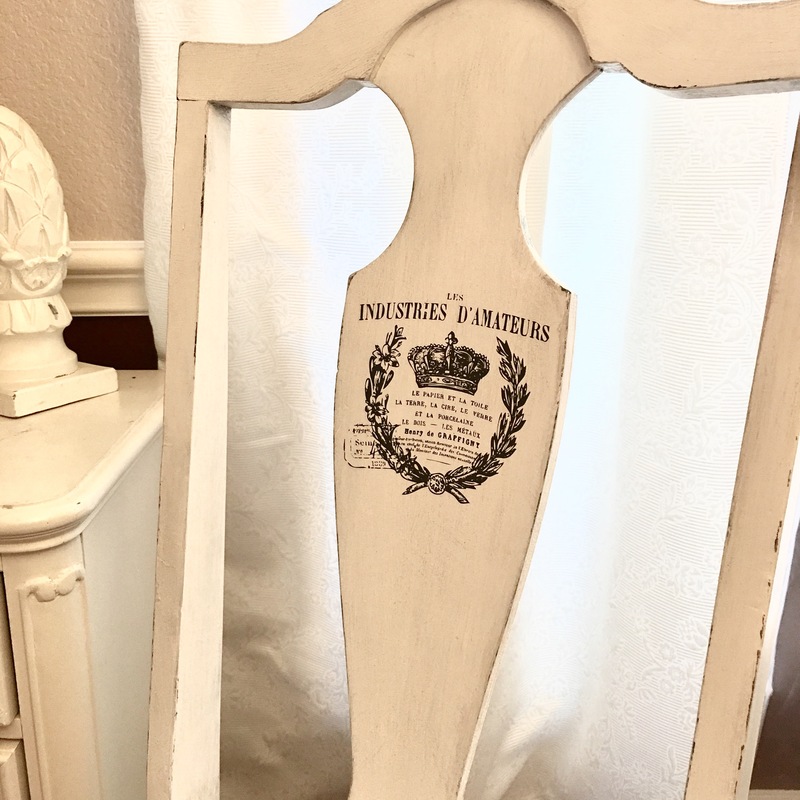 A ding here or a knick there… extra rubbing in one spot… a crack down the middle… layers of paint or fabric… all clues to the history of the piece. But I generally don’t learn much beyond an idea of the date and that someone thought it wasn’t worth saving. But I love getting to be a part of the item’s future story! I loved it so much and secretly didn’t want to sell it. Makes me want to put graphics on everything! A sweet lady purchased it for her daughter’s apartment! 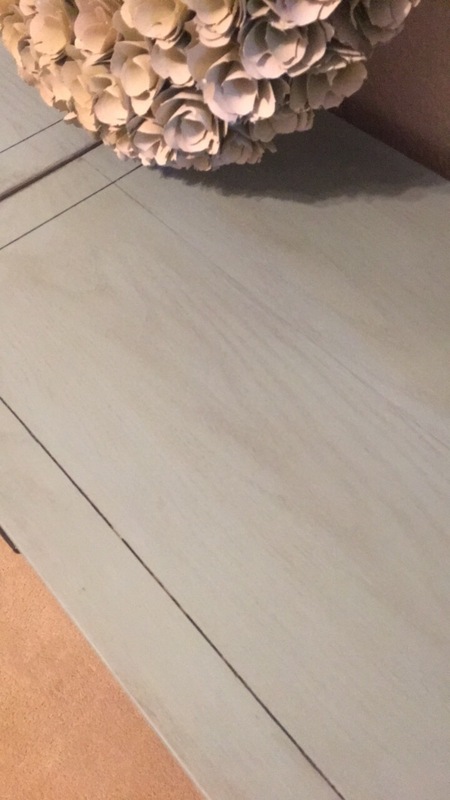 She was so excited because she had found a table to match! I loved watching her joy in purchasing something for her daughter. 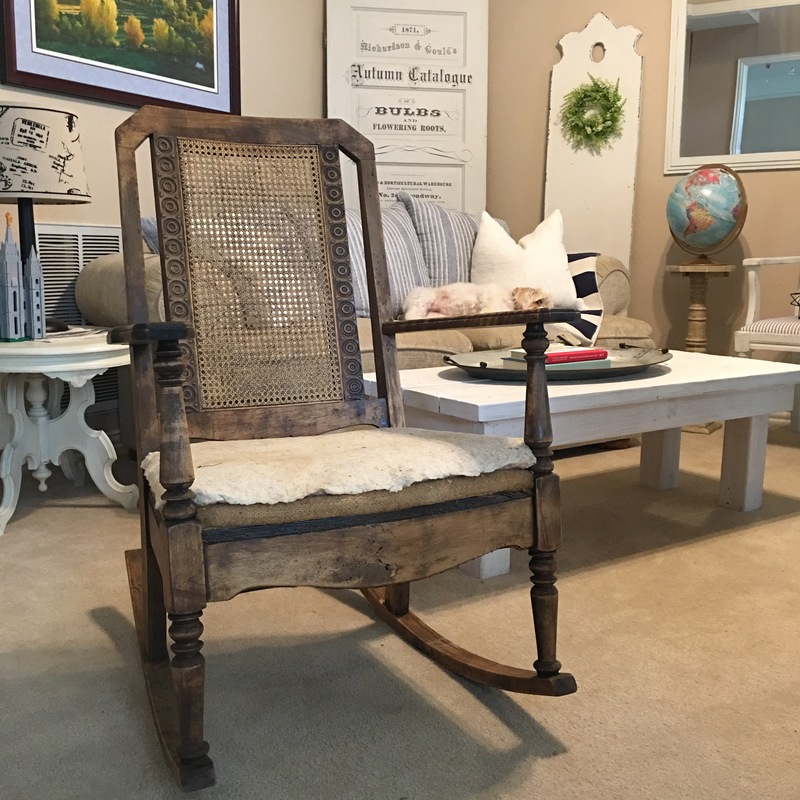 This Carver’s Chair also sold to another mother/daughter duo. The daughter was a sweet lady who was moving her mother into her home. She had been looking for a sturdy chair for her mother who was partially paralyzed and in a wheelchair. It just melted my heart when she told me how excited her mother was at seeing the chair. She told me that she had been to several furniture stores, but couldn’t ever find something sturdy enough. 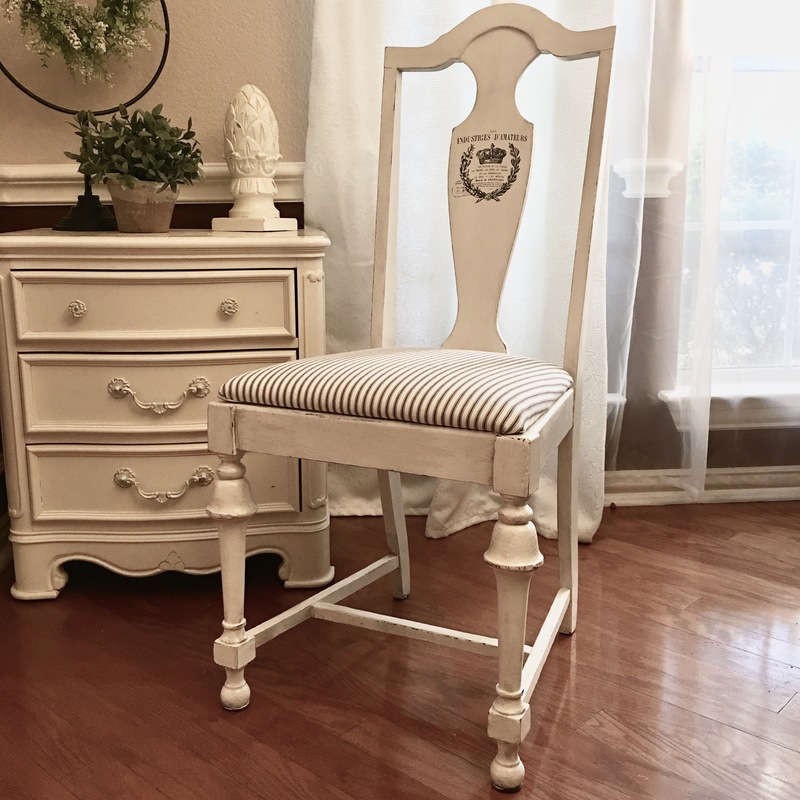 I just love that a chair built in the 1930’s, went through 4 different refinish projects, found its way to me, and eventually to this sweet client! Both chairs are on their way to a new home to be loved, and I’m so grateful to get to be a tiny part of their “Humble” story. 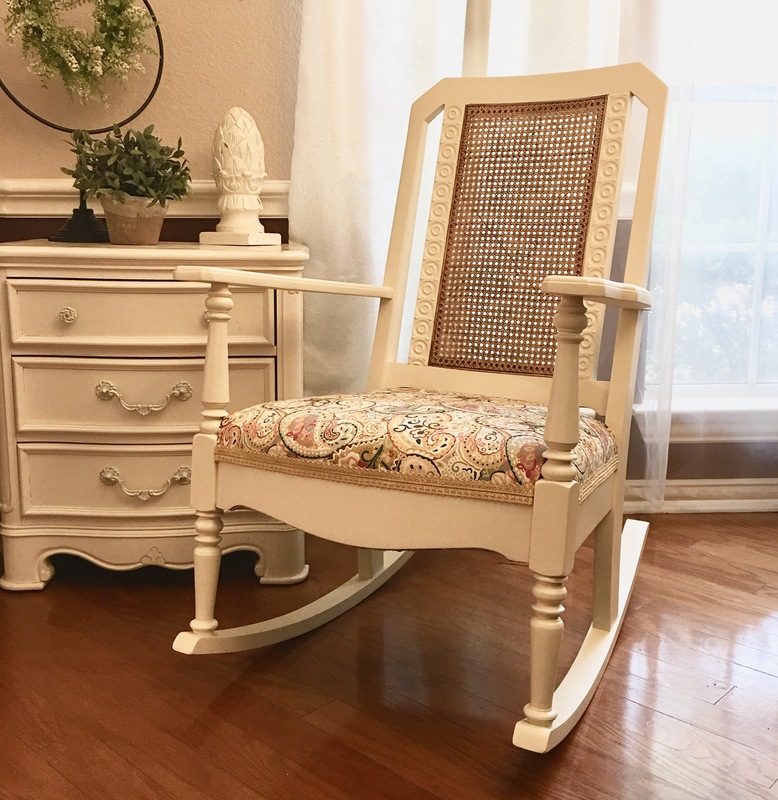 Just finished this custom designed rocking chair for a client and wanted to share it with you! 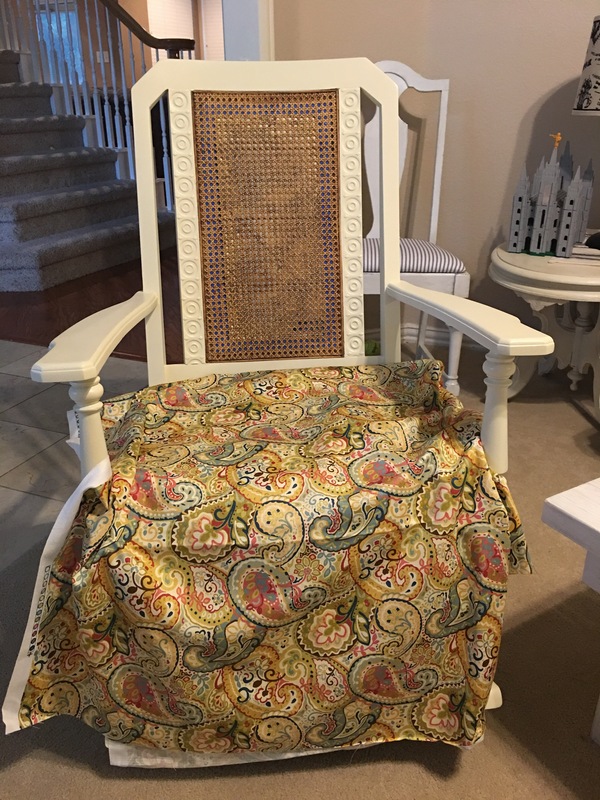 My client chose the colors and fabric and I loved putting it all together! 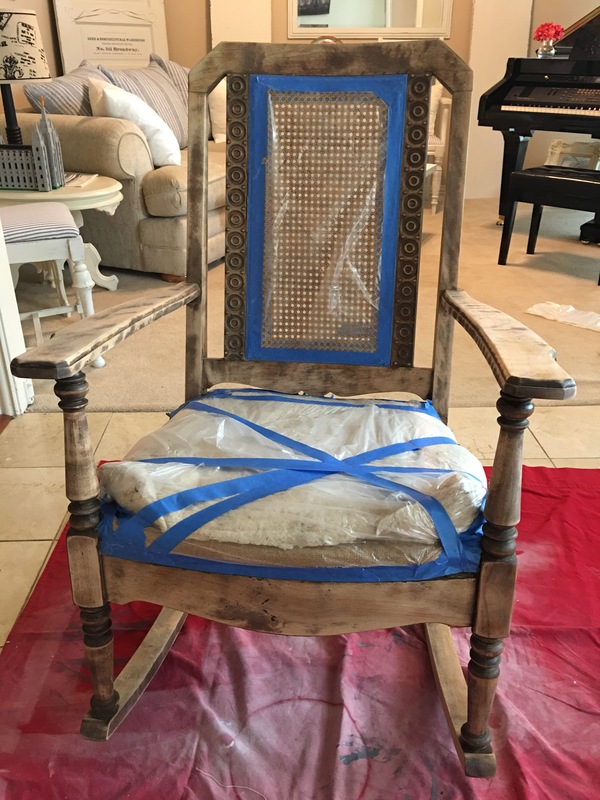 My client had done much of the hard work to remove the fabric and stain, but since I was spray painting, I wanted it to be completely smooth. There was a thick splotchy coat of wax that would interfere with the paint, so the power sander really came in handy here! I also had to do a fair amount of scraping to get the wax out of the tiny cracks. My client wanted to keep the original cane work natural. So I used plastic and painters tape to protect it. First step was Zinsser Shellac. I know I’ve talked about it before, but Zinsser seals in old stains and eliminates bleed-through. I use it every time! Next I used Krylon’s Color Master paint plus primer spray paint, and did several coats to achieve the desired coverage. One trick with spray paint is to sand in-between coats. That really ensured a smooth finish! I sealed the paint with Minwax Spray Polycrilic, and just love how smooth it feels! I got to try out my new air compressor with my staple gun for the upholstery! Makes me feel like such a big girl to have my own tools! The air compressor was a Mother’s Day present! Sigh… some girls ask for pedicures… I ask for power tools! Some gold trim and this beauty is ready to go! What do you think? Ever had success with spray paint before?